Boarding at London Airport off to Australia for the 2nd World Tournament. 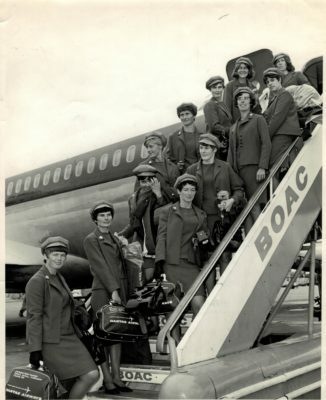 Left side of stairs: Liz Kelly, Isabel Martindale, Eunice Charles, Pat Green, Joyce Wheeler, Ann Miles, Janice Bannister. Right side of steps: Judy Day, Jackie Bowley, Ann Davies, Marion Lofthouse (Captain), Phyliss Edwards. The England team that competed at the World Tournament in Australia in 1967, where they finished fourth. Back row: Pat Green, Anne Miles, Ann Davies, Jackie Bowley, Janice Bannister, Joyce Wheeler. Front row: Eunice Charles, Phil Edwards, Marion Lofthouse, Liz Kelly, Isobel Martindale. 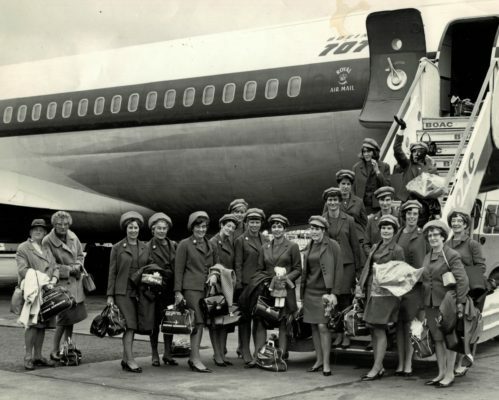 England Team: 1967. 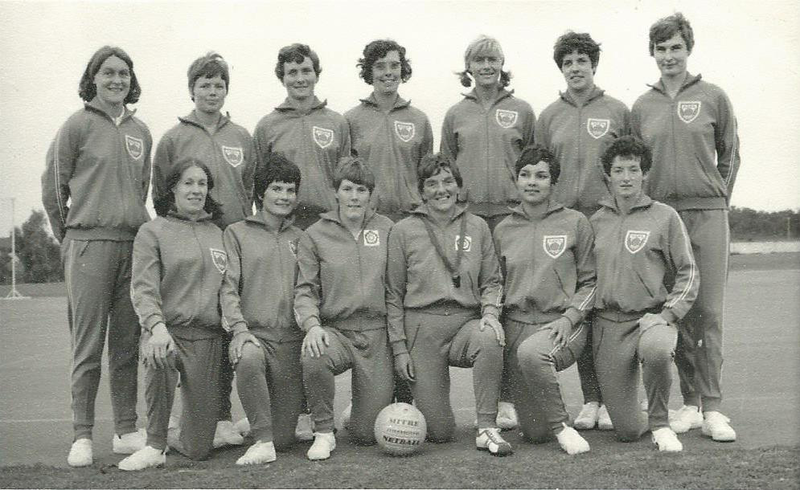 Back row: Janice Bannister, Liz Kelly, Joyce Wheeler, Ann Davies, Pat Green, Jackie Bowley, Anne Miles. 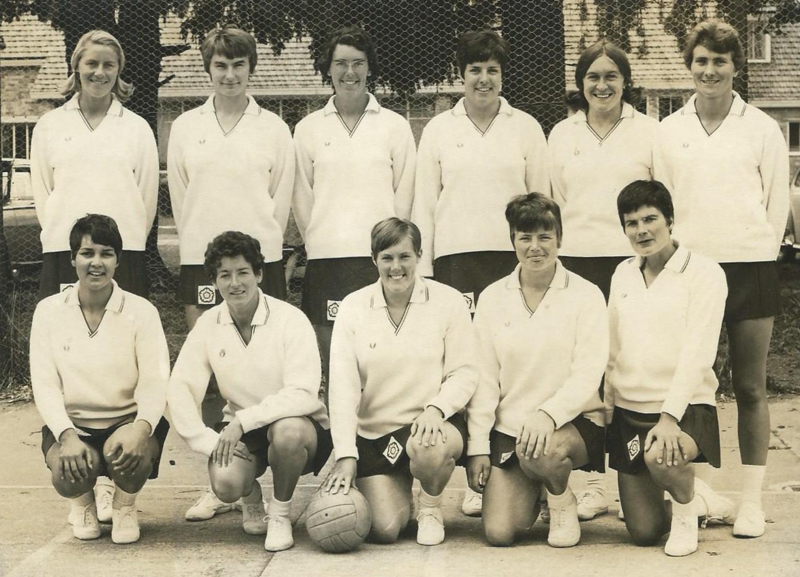 Front Row: Judi Day, Isobel Martindale, Marion Lofthouse, Mary French (coach), Eunice Charles, Phil Edwards. 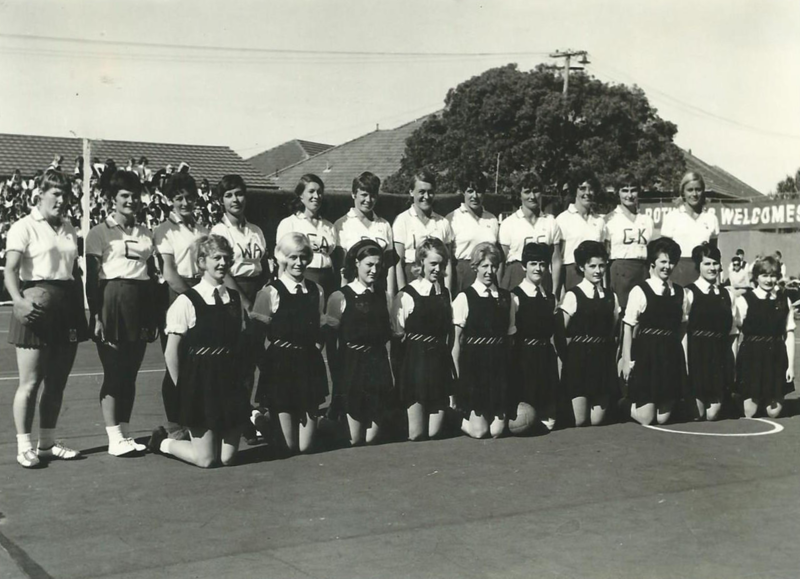 At the World Tournament in Australia: 1967, with the New Zealand team.